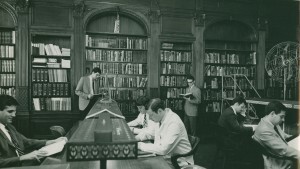 The walnut-paneled Scholl Memorial Library, renovated in 1941 at 1327 N. Clark Street, featured volumes selected by faculty for reference, current journals, case studies, and a museum with microscopic slides, pathologic specimens, x-rays, and footwear. 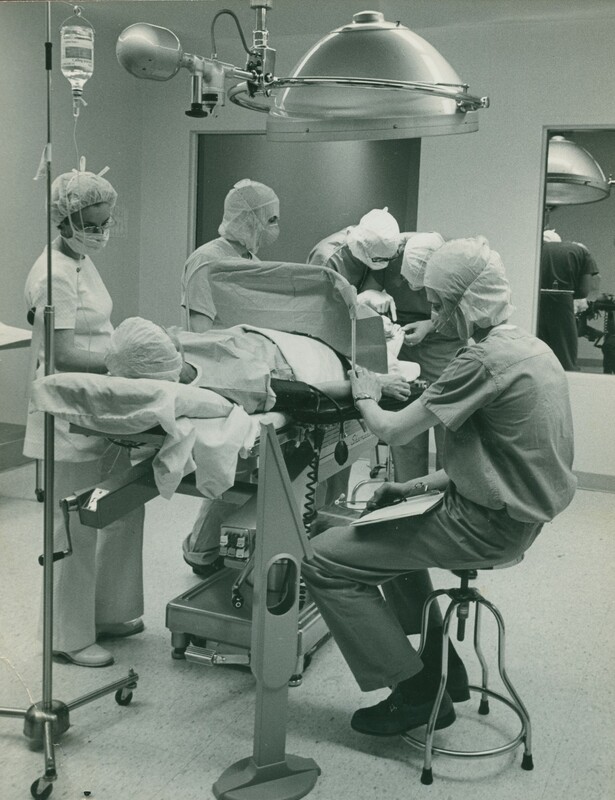 Gaining clinical experiences in a the Scholl Foot & Ankle Clinic's surgical suite, circa 1980s. 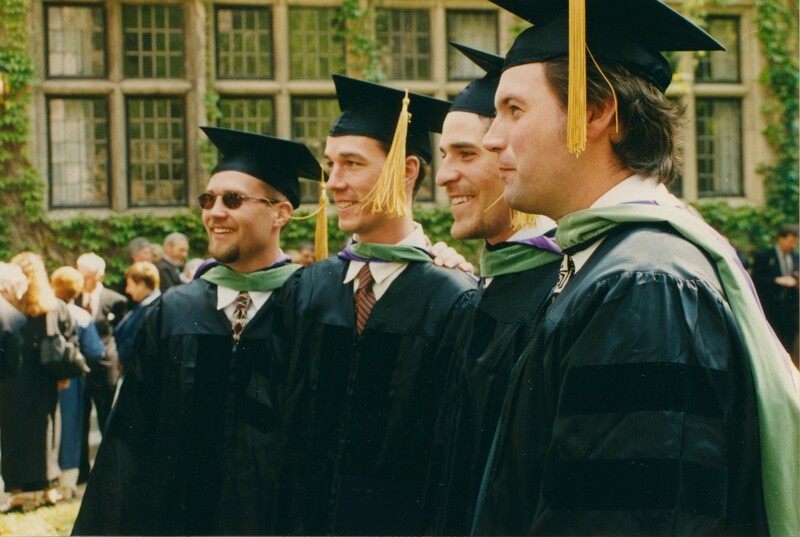 Celebrating commencement with fellow doctors in 1998. 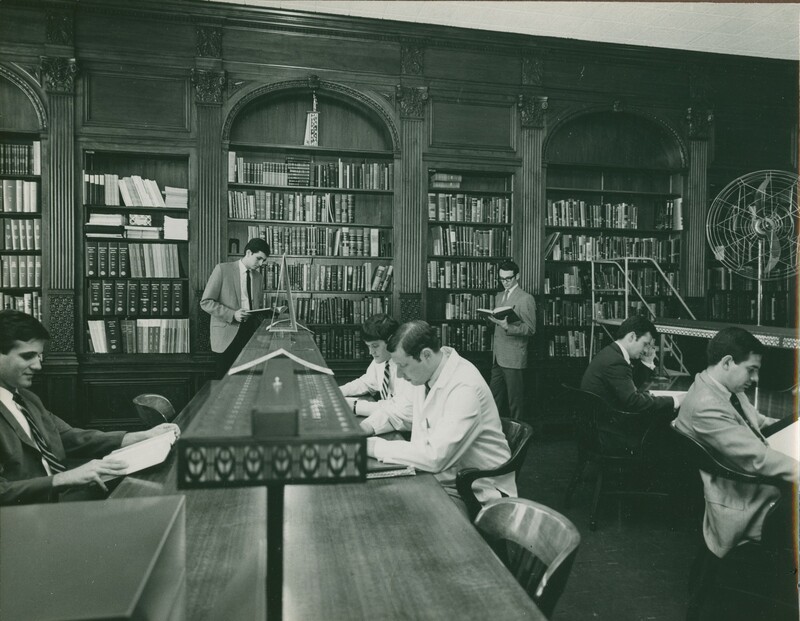 Caring for our communities has been a Scholl tradition since the college began. 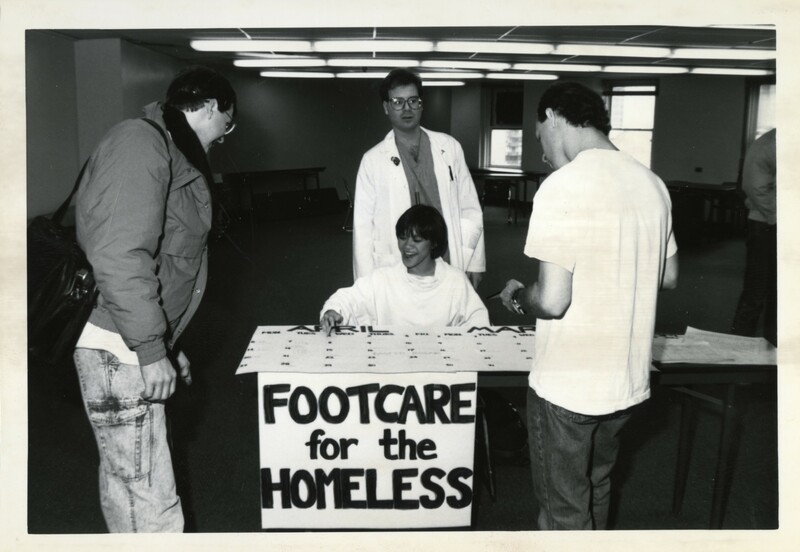 Scholl College's award-winning Foot Care for the Homeless program providing care at a homeless shelter in Chicago in 1987. 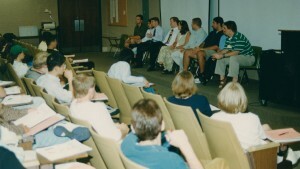 Share Your Soles, a shoe donation program, also began that year. 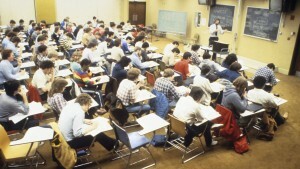 Retired Scholl College Senior Associate Dean of Educational Affairs and Professor, Dr. Daniel Bareither, teaching at 1001 N. Dearborn St., Chicago, circa 1980s. 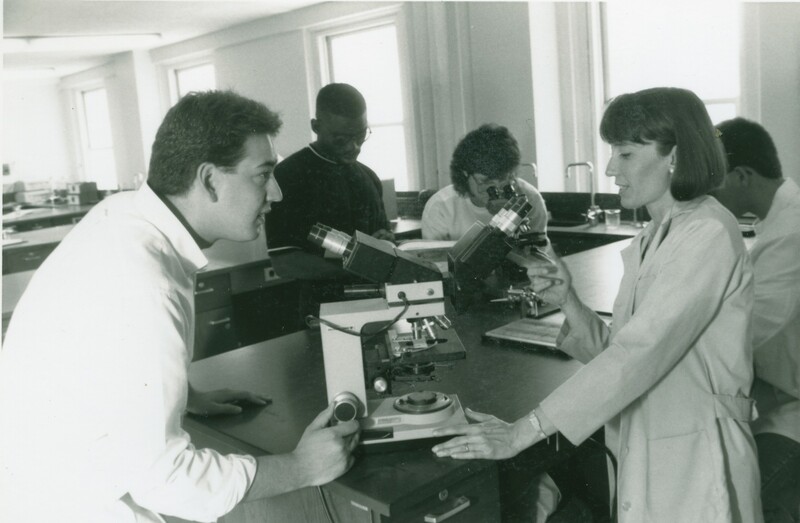 Dr. Carol Muehleman, professor of histology, works with students in a laboratory at 1001 N. Dearborn St., Chicago, circa 1990s. 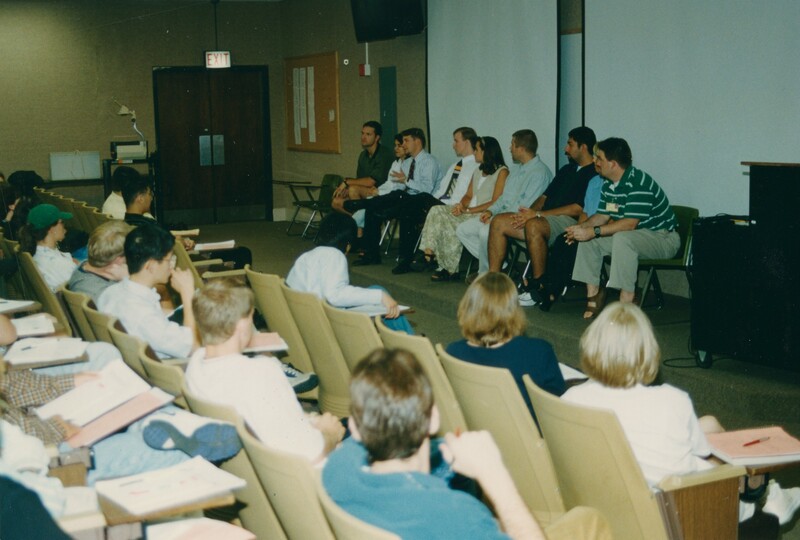 Panel discussion in a Scholl College classroom at 1001 N. Dearborn St., Chicago, circa 1990s. 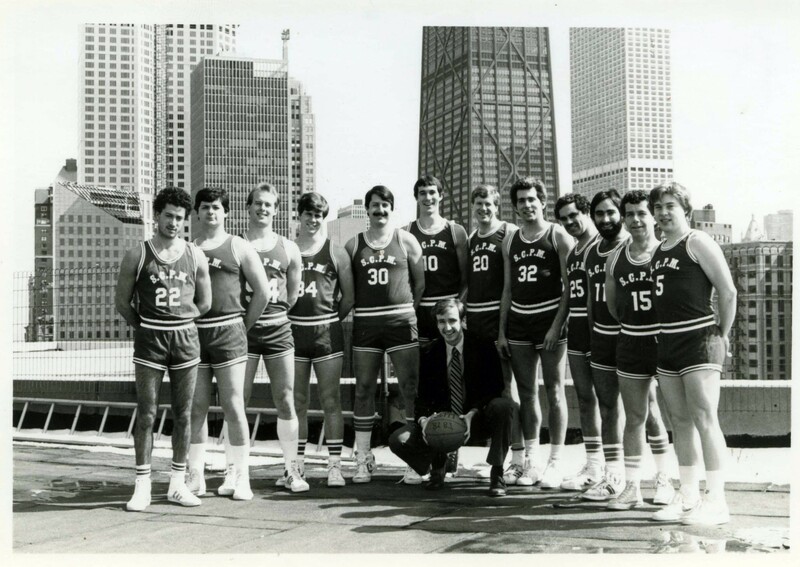 An annual basketball tournament is a long-standing tradition for schools of podiatric medicine. 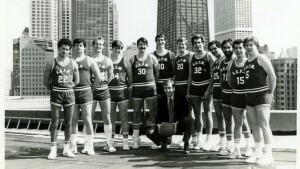 This Scholl College men's team from the 1980's is coached by John Grady, DPM '80 (center, with basketball). 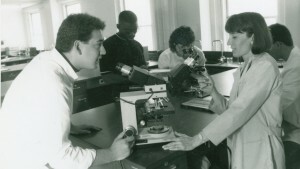 Founded in 1912 as the Illinois College of Chiropody and Orthopedics, we have gone through multiple name and location changes - from the Illinois College of Podiatric Medicine to our current name in honor of our founder, the late Dr. William M. Scholl - and in August of 2001, we merged with Rosalind Franklin University. One thing that has not changed is our commitment to graduate generations of podiatric physicians who impact the profession in many ways. The importance of the health of the lower extremity, and how it relates to over-all health, is something we understand deeply. In addition to being a major provider of foot and ankle care for the residents of Lake County, Illinois, the university and Scholl College work with our community partners to provide care to those in need, a Scholl legacy since 1912. Some highlights of our efforts and impact through the years include the award-winning Care for the Homeless Program and the 1988 launch of the “Let Someone Fill Your Shoes” campaign, which provided more than 200,000 pairs of shoes throughout the Chicagoland area. The annual Dance for Diabetes, a Scholl College tradition since 1988, provides support for the university’s Interprofessional Community Clinic, which serves the local community. Volunteers from the College’s faculty and student body participate in a wide range of other community service programs throughout the year. 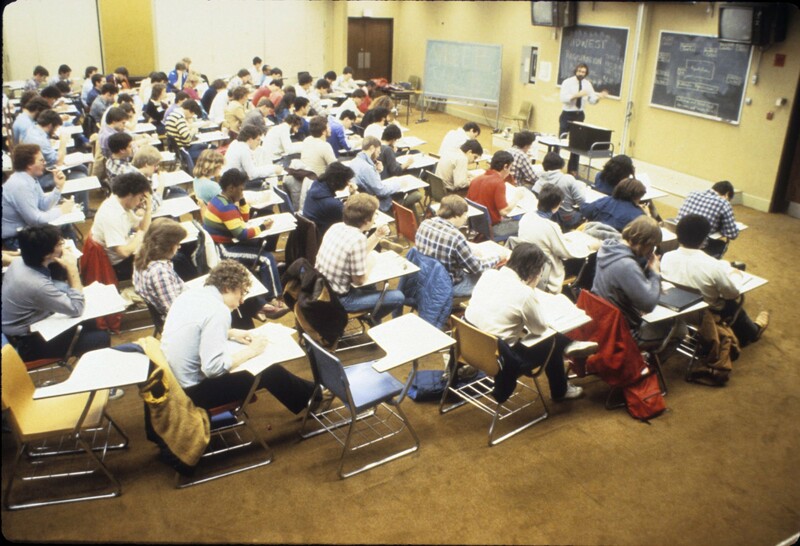 Since our early beginnings in a converted one-floor factory in Chicago to our current location in North Chicago, Scholl College continues to advance the profession of podiatric medicine. 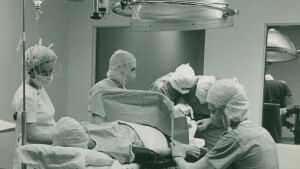 With state-of-the-art facilities available to today’s students and new, innovative approaches to clinical training, the college prepares students for podiatric practice in a patient-centered, collaborative care environment. 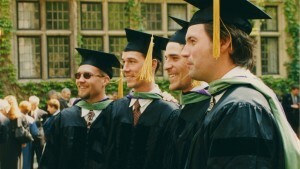 Excellence remains the hallmark of the timeless education provided by Scholl College.